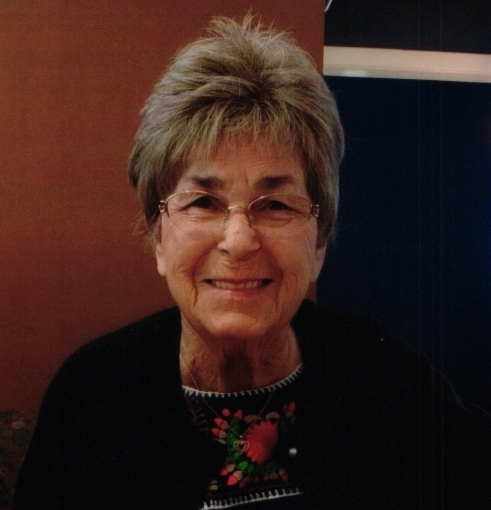 Alice Mae Collins, age 79, of Ozark, AR. passed away peacefully on January 20, 2019 in Ozark. She was born July 19, 1939 in Henryetta, OK., the daughter of Fred and Ervie Murch. She was of Southern Baptist Faith and a previous member of East Mt. Zion Trinity Baptist Church in Clarksville, AR. She was preceded in death by her parents; her husband, J.T. Collins; and a granddaughter, Amanda Collins. She is survived by her daughter, Brenda Reynolds of Ozark, AR. ; son, Troy Collins of Greenbrier, AR; son, Robert Collins of Ozark, AR; grandson, Jeremy Collins of Greenbrier AR; granddaughter, Tiffany Harrell of Greenbrier, AR; grandson, Tyler Collins of Dover, AR; grandson, Preston Williams of Donaldson, AR; granddaughter, Victoria Collins of Ozark, AR; grandson, J.T. Collins of Ozark, AR; great-grandson, Hunter Harrell of Greenbrier, AR; great-granddaughter, Addy Harrell of Greenbrier, AR; great-grandson, Jaxon Harrell of Green brier, AR; great-grandson, Conner Collins of Kendrick, Idaho; four sisters; Violet Collins, Patsy Marshall, Erma Hendrix, Darlene Kinder and a brother, Carlous Murch. Visitation will be from 6:00 p.m. – 8:00 p.m. Friday, January 25, 2019 at Ruggles-Wilcox Funeral Home. Funeral service will be 10:00 a.m. on Saturday, January 26, 2019 at the funeral home; Robbie Jackson officiating. Burial will follow in Rest Haven Memorial Gardens. Pallbearers will be Jeremy Collins, Tyler Collins, Justin Harrell, Preston Williams, Matthew Murch and Brandon Reynolds. Honorary Pallbearers are Edgar Collins Jr and Chad Weatherington.